Members of the emergency services and relevant organisations outside the The Old Wesleyan Chapel on St Mary's. 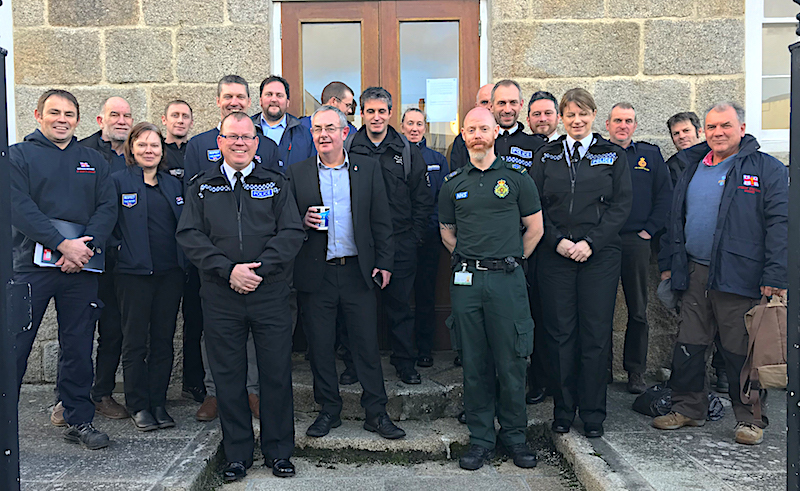 Emergency services on the Isles of Scilly and beyond spent a day last week discussing how to work more closely together. Tickets for April's Walk Scilly festival are now on sale, and Three St Mary’s residents braved the icy temperatures to join the fifth annual London Winter Run yesterday.